Dr. Todd C. Wood has a formal education that consists of a B.S. in Biology from Liberty University in Virginia (1994) and a Ph.D. in Biochemistry from the University of Virginia (Charlottesville, 1999). Todd's Ph.D. advisor was the famous Dr. William Pearson, the original developer of the widely popular FASTA suite of computer programs used for DNA analyses. When providing a reference for Todd in his subsequent academic position application, Dr. Pearson stated "he was the best graduate student I ever had". Immediately following his Ph.D. work at Virginia, Dr. Wood accepted a position as the Director of Bioinformatics at the Clemson University Genomics Institute (Clemson, SC) which at that time, was directed by Dr. Rod Wing, a world famous scientist in the field of plant genomics. After working for about two years at Clemson University, Dr. Wood accepted a faculty position at Bryan College (Dayton, TN) in 2002, where he now serves as the Director of the Center for Origins Research and Associate Professor of Science. Todd Wood is best known in the creationist research community for his involvement in the development of baraminology, a creationist system of biological study and classification. Dr. Wood is a founding member of the Baraminology Study Group (BSG), an active society and research group that publishes peer-reviewed journal papers and holds annual meetings. 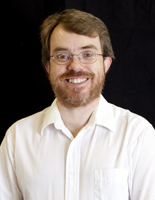 Dr. Wood has also been instrumental in the development of the HybriDatabase: A Computer Repository of organismal data used in classification research. The database contains entries for mammals, birds, insects, flowers, and aquatic organisms. Two of Every Kind Answers Magazine 2(2):32-34, 2007. Ancient DNA A bimonthly newsletter of the Creation Research Society. 1(6),1996. Was There Really Life on Mars A bimonthly newsletter of the Creation Research Society. 1(5),1996. Genome decay in the mycoplasmas by Todd Wood. ICR Impact 340. 2001. Todd Wood's blog - regularly updated! This page was last modified on 17 May 2016, at 19:39.